This book is a basic introduction to the Revit 2015 computer aided design (CAD) program. 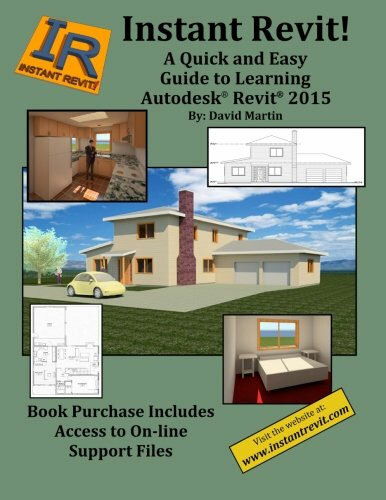 It includes ‘to the point’ tutorial and ‘screenshot’ that how Revit 2015 could be used. After the completion of the project, the students can begin the final project from this book. Then the section view needed. Then the interior and exterior elevation needed. Two dimensions had different plans. There is also a website for the book that is preserved by the author. Buyer of the book will be able to download files that are used in the tutorials. The student will use these files to add a variety of basics to their project. Family files are also given from manufacturer’s sites and the said website. www.amazon.com has brings this book authored by Devid D Martin.